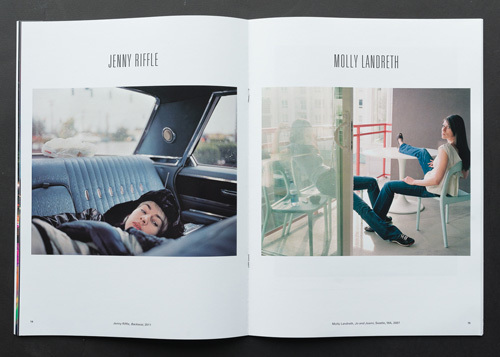 "The second issue of Latitude 47 features seven individuals represented through five portfolios. As was true with our inaugural issue, we did not set out with a theme in mind, and yet from the disparate practices and visual explorations of the artists selected, a shared concern with identities—of person and of place—emerged. This year’s issue features work by Rodrigo Valenzuela, Tod Gangler, Jenny Riffle, Molly Landreth, Garth Amundson & Pierre Gour, and Chris Letcher. The breadth and complexity of the work presented in our second volume of Latitude 47 is itself indicative of the Pacific Northwest’s multi-faceted identity as a region. The diversity of conceptual and creative approach by these artists, reflects our mission as a publication and as an institution engaged with the photographic medium." Purchase a copy for $10 here, or stop by PCNW.